The Temporary Public Art Program will commission cutting-edge pieces from world-renowned artists. 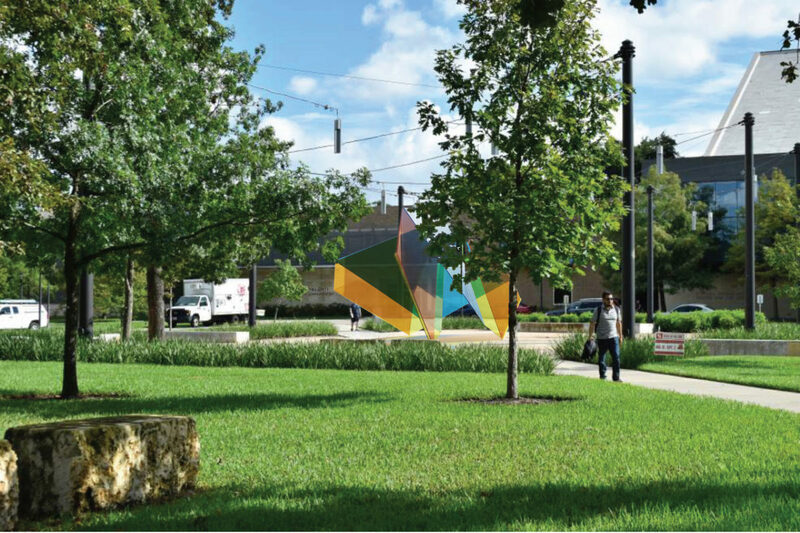 The University of Houston System is the state’s first public university system to launch a Temporary Public Art Program (TPAP), which will serve as a platform not only for artworks like sculptures, but also for pop-up exhibitions, pieces installed in unexpected places for short durations and pieces created with unusual or ephemeral materials. After their temporary display at UH, the pieces will travel to other UH System universities. The program is part of a series of endeavors and events in celebration of the 50thanniversary of the Public Art of the University of Houston System (PAUHS), one of the largest collections of any university system in the country.